After pulling off one of the most remarkable turnarounds in corporate history, Mark Hurd was ousted from HP by a bunch of lunatics masquerading as a board of directors over a scandal that never should have seen the light of day. 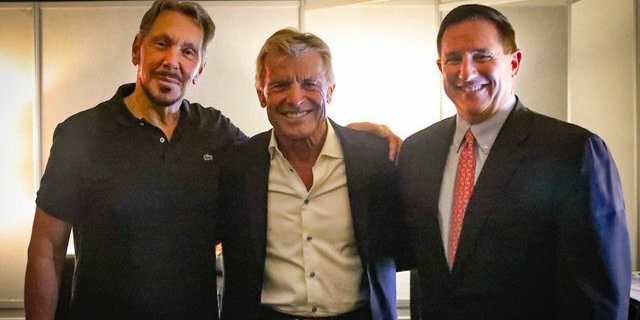 With his reputation unjustly tarnished I’m guessing Hurd would have had a hard time finding a similar gig if not for his friend of many years, Oracle founder Larry Ellison. After calling out HP’s board for making “the worst personnel decision since the idiots on the Apple board fired Steve Jobs,” Ellison put his money where his mouth is, wasting no time bringing in Hurd as president of Oracle, where he’s now co-CEO. I doubt that anyone would dispute the importance of relationships in business, but I think they are vastly underrated as critical success factors. As with Hurd, relationships have certainly been that for me. I can’t imagine how my career might have turned out if not for certain friends and colleagues. But here’s the thing. You never know who will end up being that lynchpin to your next big career opportunity. In my case, in every case, those who ended up referring me to my next gig were so unlikely I couldn’t possibly have known in advance how important they would turn out to be. Most were business associates I’d come to know over the years and enjoyed hanging out with from time to time. One was a former potential customer I had never done any actual business with. Another was a former boss I hadn’t seen in more than a decade. And each one helped to bail me out of a rough situation. Likewise, I’m sure those I’ve helped along the way were as surprised by the source of support as I’ve always been. And just as grateful, I’m sure. How do you know who to build relationships with? Therein lies the rub. You don’t. But it helps to 1) understand their value (which is why I write this stuff), 2) be open about your situation (they can’t help you if they don’t know what’s up), 3) be respectful and professional, 4) never burn bridges and 5) remember that what goes around really does come around. One particular story comes to mind. Stop me if you think you’ve heard it before. After two years as a VP in a big public company I was miserable. I hated the politics, the bureaucracy, the endless meetings – pretty much everything. It was time to move on. Since I had arrived by way of acquisition, I made my feelings known, figuring they’d appreciate that I hung in there as long as I did and let me exit in peace. Not a chance. On the contrary, they were real dicks about it. Go figure. Meanwhile a guy I’d worked with long ago – the former boss I mentioned earlier – called out of the blue in need of a reference, which of course I agreed to do. We got to talking and, next time he was in town, we got together for lunch. When I told this guy about my situation, and that I’d been interviewing all over the Valley to no avail, he referred me to two gigs, one of which turned out to be a perfect fit with a late stage startup. The funny thing is, my interview with the startup was right on the heels of being unceremoniously fired from the big company. Talk about timing. That startup ended up going public and, yada yada, the rest is history. The thing is, every story I’ve got is just a variation on a theme. The situation and the players change but the cause and effect are always the same. If you want to go places in your career, you’re going to need relationships to help you get there. Not social networks, mind you, but real relationships with real people in the real world. And the higher up you go, the less likely hiring managers are to take a chance on an unknown. No referral from a trusted source means no interview and no job.